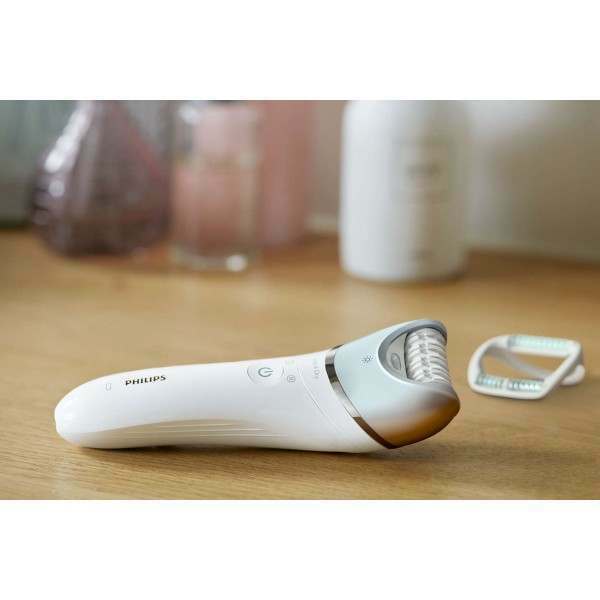 The Philips Satinelle Advanced epilator features the widest epilation head at 30mm, providing maximum coverage for long-lasting results. 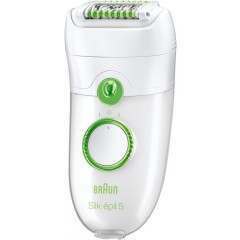 The unique built-in light ensures you don’t miss even the finest hairs for ultimate smoothness. Always use at a 90-degree angle for the best performance. 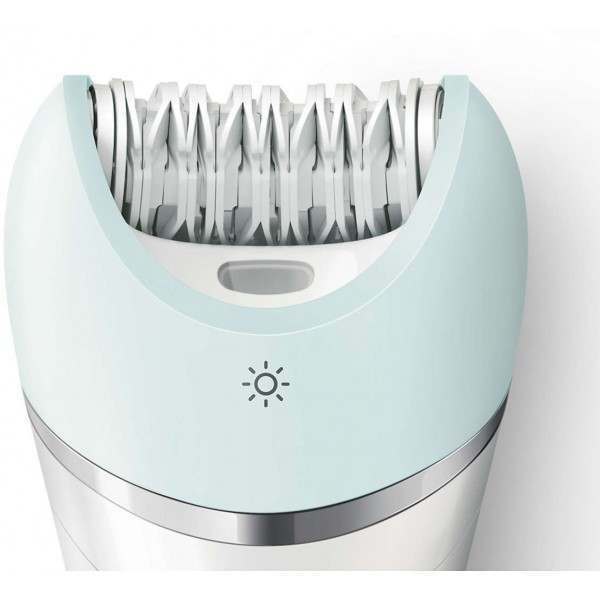 Philips epilator head is unique in being made from a rough ceramic material that grabs hair firmly: even fine hairs won't slip from its grip. 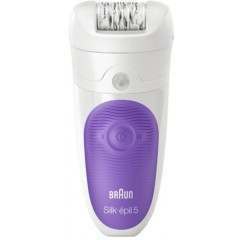 The S-shaped handle helps you to steer all over the body. 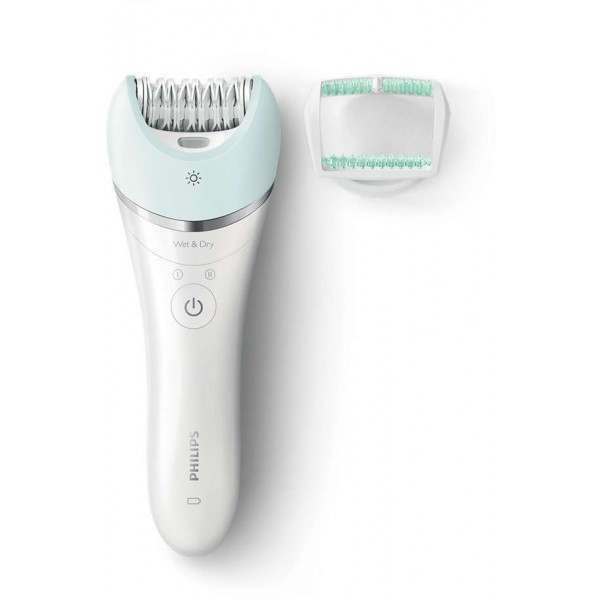 The widest head with ceramic discs epilates close to the skin to grab even fine hairs for quick and long-lasting results. Wet and dry use with 1 accessory. 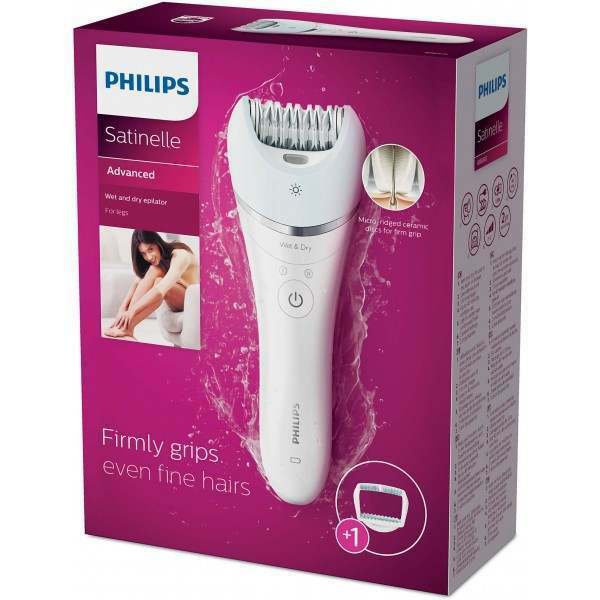 The Philips Satinelle Advanced features the widest epilation head for optimal hair removal with 30mm coverage. Think you’ve missed a spot? 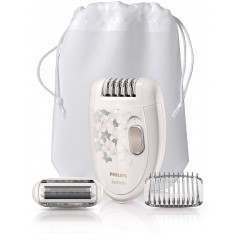 The built in unique light ensures you don’t miss any fine hairs, providing the best epilation results for all body parts. Top Tip: Always use at a 90-degree angle for the best performance.